Please visit www.arachnoboards.com - It is the best source for tarantula husbandry info out there. You will probably need to use the search function to find answers to specific questions, but if you have a question, with any likelihood it has been asked before. Definitely do some more research and get your enclosure setup before buying you spider. 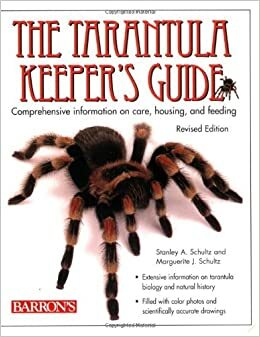 Other great sources of info are The Tarantula Keeper's Guide or This book or this one I would highly recommend reading at least one of these before bringing your spider home! Good luck, you're in for a fun time! Pick up a copy of The Tarantula Keepers Guide . It's covers a pretty wide variety of topics on tarantulas including biology, basic care, breeding, even catching in the wild if you were so inclined. It's a bit out of date as far as current information in the hobby goes, but for your purposes, its a great source if you just want to learn more about tarantulas in general and to decide if you'd like to take the next step and own one. Can you show us a photo of your setup? That'll be helpful to see if you need to make any big changes right away. Invest in a copy of this book ASAP. It's not perfect, but it's the best out there and will get you up to speed on the basics.